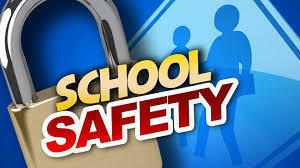 School safety is always a concern for every school administration team. This year Bauxite Schools has made improving security a top priority. We increased security at athletic events with metal detectors and bag searches, along with increased police presence, and our community let us know that they appreciated all of the measures we were taking to keep students safe. We have implemented several drills to practice responding to emergencies, and several of our staff members participated in CPR, Stop The Bleed, and even active shooter training. Our district will also soon be implementing a Commissioned School Security Officer (CSSO) program in order to increase our ability to quickly and effectively respond to a threat at school. CSSOs are non-instructional personnel who have been intensively trained and licensed by the state of Arkansas to carry a weapon on school grounds. These staff members are not teachers or paraprofessionals who work in classrooms. CSSO training includes an intensive 60-hour training program. Possession of a concealed carry license or enhanced concealed carry license alone is not sufficient to qualify as a CSSO. The shooting qualification is similar to that required for law enforcement officers. The number of CSSOs and the identity of the CSSOs will not be released for safety reasons. Bauxite Schools also employs an armed School Resource Officer, who is a Saline County Sheriff’s Deputy. Bauxite Schools is proud to be taking measures to keep students safe. Secure schools do not happen by accident, and every moment we invest in safety training is a moment we are investing in the lives of our students.